Picture this: you’re in New York and you want to surprise your partner with a romantic short trip to Philadelphia. The city known as America’s birthplace makes for a perfect weekend getaway. You have a few options to get there. Most people would probably take the 2-hour train ride. It’s relatively comfortable and predictable, but nothing worth remembering. A more picturesque and memorable transportation option if you want to travel in style and treat your partner to awe-inspiring aerial views of a million twinkling lights is to take a helicopter ride instead. The journey is so much more magical when you gaze down at the vast panoramas. 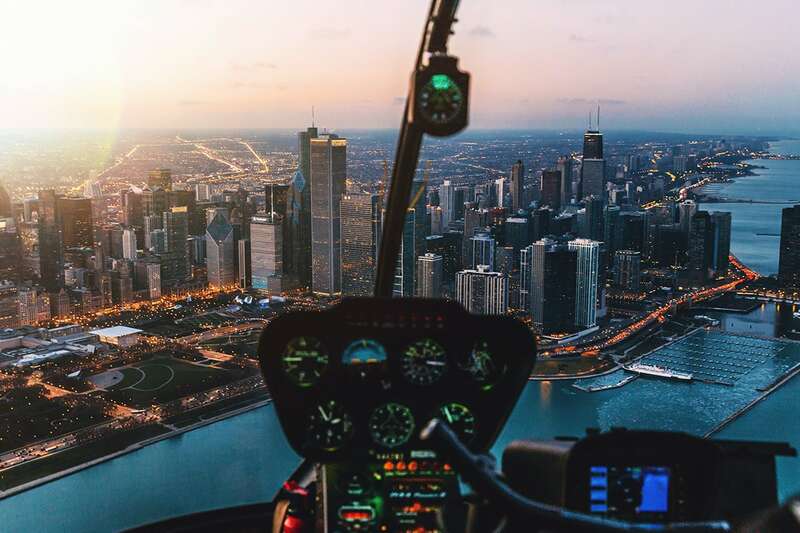 A helicopter charter from New York to Philadelphia will take you 45 minutes so you’ll save half the time on the journey. 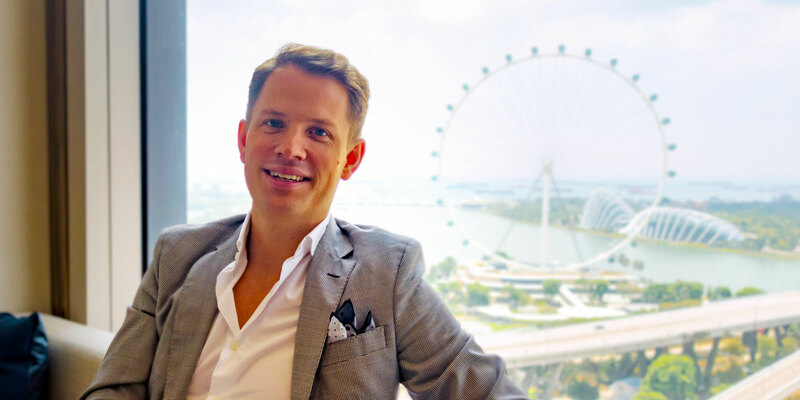 But more importantly, the trip itself will be a dazzling experience that will get your partner endlessly raving about and fill your Instagram feed with breathtaking photos. 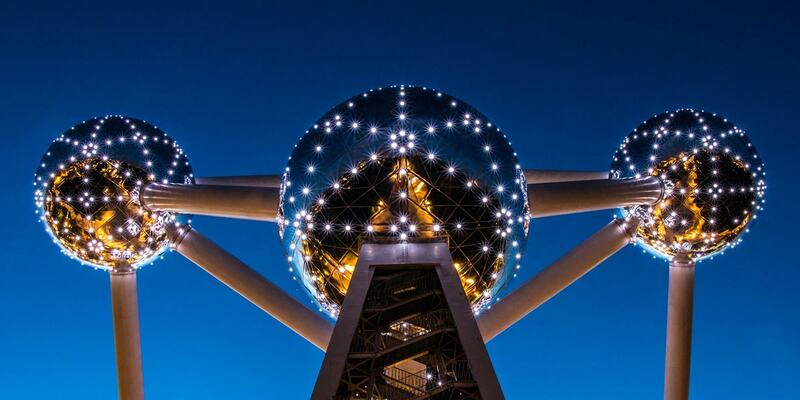 Because you know, there is nothing quite like a luxurious shareable experience to leave long-lasting memories. Helicopter charter companies such as New York-based Wings Air can help you organise this envy-inducing trip. 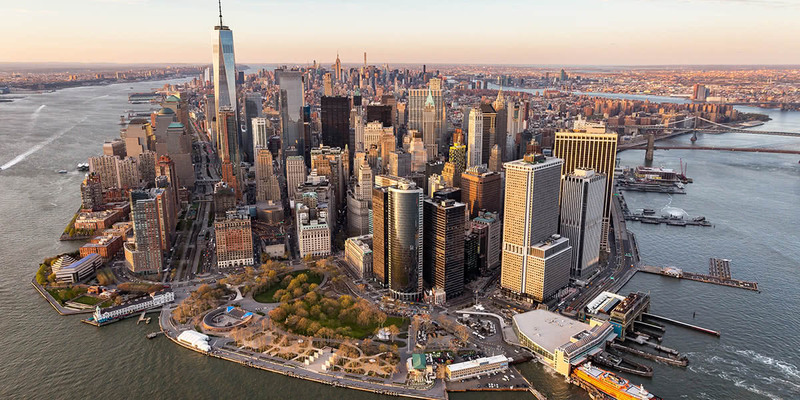 Their fleet of helicopters across the Northeast USA will get you quickly to Philadelphia, but also to the Hamptons or Atlantic City among many fabulous destinations. By flying with Wings Air, you’re sure to live the high life (literally!). The luxury liner is known for its high-end helicopters (see below), but also for its experienced pilots. 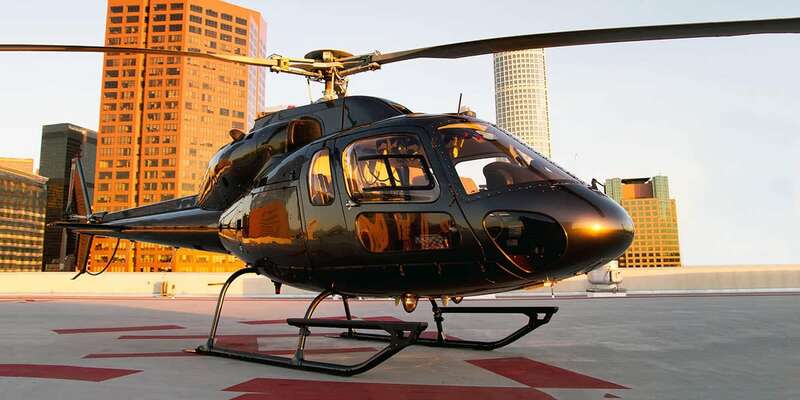 Aside from high-end helicopter tours, the company is also working with film studios to shoot aerial scenes for movies such as The Bourne Legacy, Now You See Me and Rise of the Planet of the Apes. Founded in 2002 by former investment banker Javier Diaz, Wings Air also provides flying lessons. The TwinStar Airbus AS355N is a twin-engine light utility helicopter that Wings Air has configured to be the ultra-luxury option for discerning passengers. 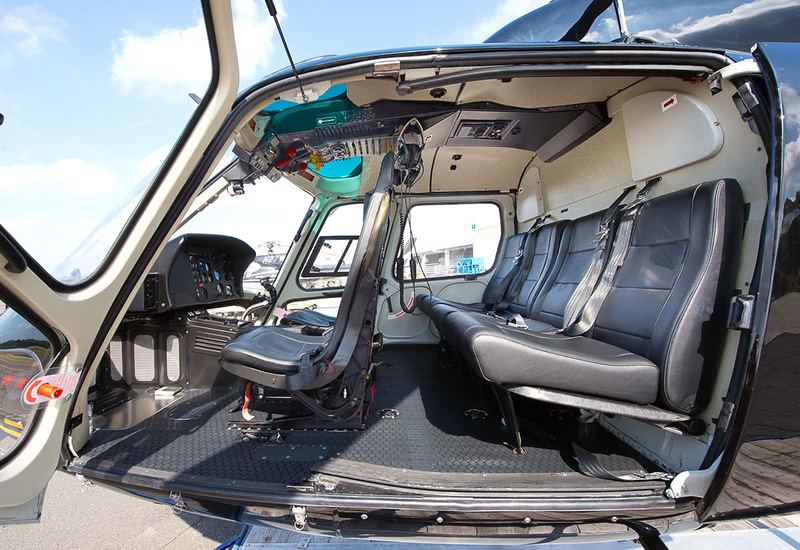 The helicopter can transport up to 5 passengers comfortably (plus the pilot) with 3 to 4 suitcases. With a cruise speed of 100 kts and a range of 265 nm, it’s the perfect option to travel in style. The AStar Airbus AS350BA is a single-engine light utility helicopter. Wings Air has configured it to be the luxury helicopter that can transport up to 6 passengers comfortably (plus the pilot) with 3 to 4 suitcases. Just like it’s big brother, the TwinStar Airbus AS355N, the AStar Airbus AS350BA has a cruise speed of 100 kts and a range of 265 nm. The Robinson R44 Raven II is the entry-level helicopter from Wings Air. A little smaller than the two Airbus helicopters, the Raven II can transport up to 3 passengers with small pieces of luggage at an airspeed of 90 kts for a range of 215 nm. 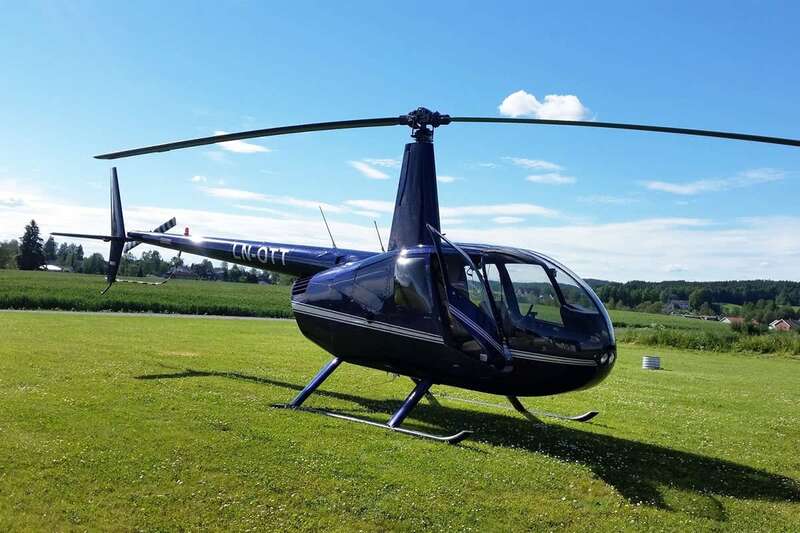 We would recommend the Robinson R44 Raven II for flight training and aerial photography. If a weekend getaway to Philadelphia isn’t what you’re looking for, Wings Air has much more to offer. 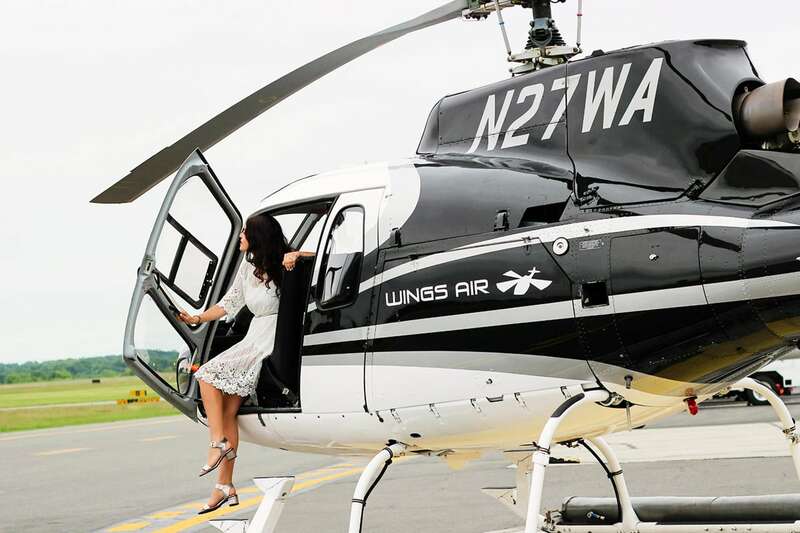 The helicopter company has joined forces with several 5-star venues and service providers in the Northeast USA to bring exclusive luxury travel experiences to their clientele. 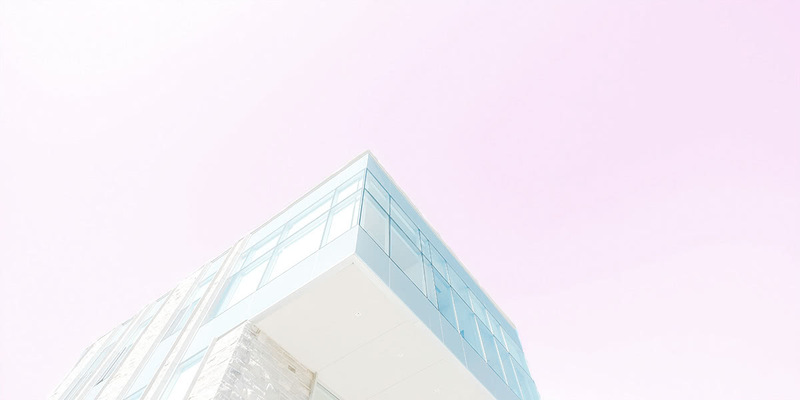 The collection of experiences is constantly growing and includes at the moment private fly fishing trips in Vermont, race car driving at the Monticello Motor Club in upstate New York, and the perfect proposal experience in the Tuscan-inspired Glenmere Mansion.